Poor Midge has a bruise and scrape on the left side of her udder which looks pretty painful. Although Crumpler started feeding on the left, she has swapped to the right, so now both kids are feeding from the same side. The result is that the left side got engorged and tender and Midge was kicking the kids off whenever they tried to feed. The scrape looks like has caught herself with her hoof. We aren’t actually prepared to start milking as we were going to leave the kids with her until 3 months and only then separate them over night so we can milk in the morning. 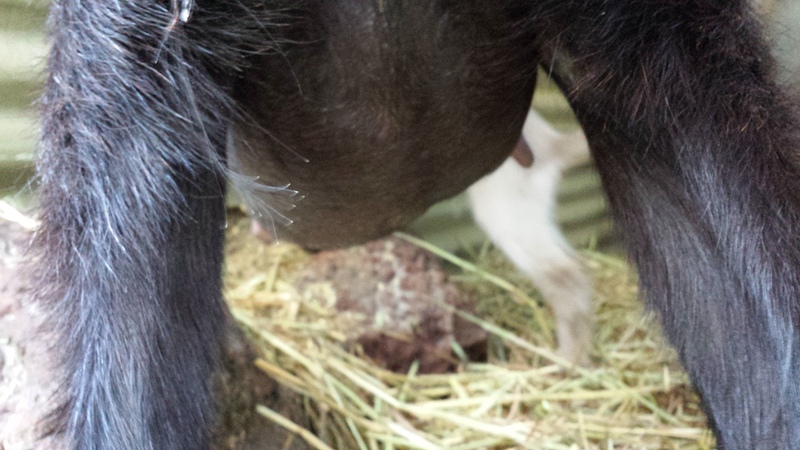 Brad hung on to her and I milked a goat for the first time. Because the udder was so engorged, the milk sprayed about 3m across the paddock! I tried milking her into a bucket to start with, but she kept putting her foot in it so I gave up on that and just sprayed it all over the ground. There is more rain due overnight, so it will get washed in. Hopefully with the reduced pressure, Midge will let them nurse on that side, but she might not until the wound has healed.